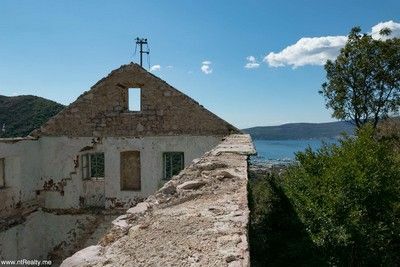 This ruin, perched on the hillside with dominating views over Porto Montenegro and Tivat, is located just on the road, in the immediate vicinity of the 15th century church in Gornja Lastva. 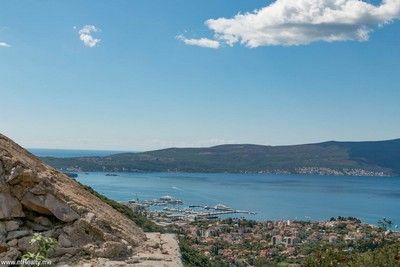 It is a picturesque Tivat village, located on a sunny slope of the Vrmac hill overlooking the Tivat Bay and Porto Montenegro and further, via Lustica peninsula, to the open sea. 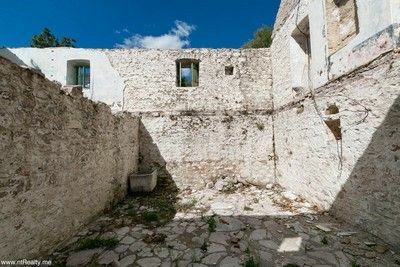 Set in a plot of 287 m², this ruin has outline permissions from the local Planning and Heritage Departments to reconstruct to its former glory. 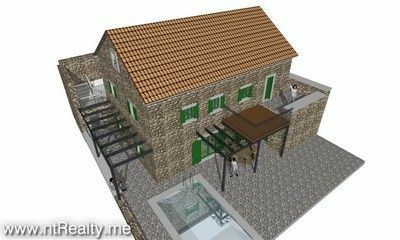 The basement of the object is 88 m² and it is possible to build 2 levels using local stone. 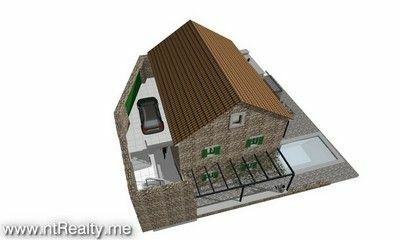 Additionally, there is ancillary building of 13 m². As you can see in the photos, there is enough space on the plot for the pool according to idea of an architect. 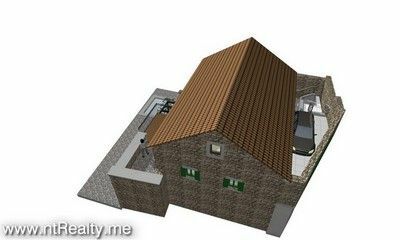 The current owner has a conceptual design of the reconstruction of the house, and according to this project, the costs are in the amount of about €130 000. As it's facing south west, you will be able to enjoy the 270 days of sunshine along with the following sunsets. The opportunity to put your own stamp on a building such as this is rare and once sold will be hard to find an alternative. 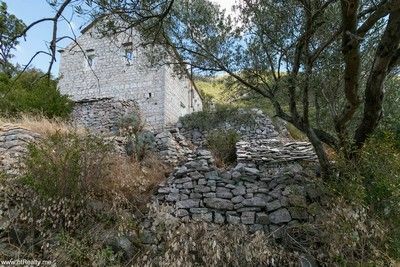 300 m above the sea level and 3 km away from the Adriatic highway, Gornja Lastva represents an especially valuable rural area, where people have lived since the 14th century, growing grapes, olives, herding cattle... In the first half of the 20th century, there were about 100 houses and 500 people. Among the residents there were a lot of good craftsmen, especially masons and fishermen. 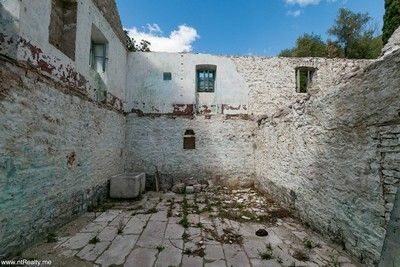 After the Second World War, the village gradually began to decay and the population declined steadily. People moved closer to the sea, where it was still possible to find work, and now there are only 6 people left in the village. 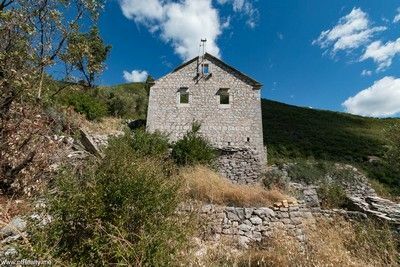 The ruin is 15 minutes from Tivat Centre and Porto Montenegro. It is not too far from nearby airports Tivat (7,8 km), Podgorica (92 km) and Dubrovnik (48 km). 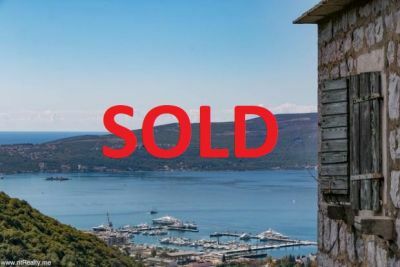 Ferry port is 6,5 km away, Kotor 15 km and Budva 29 km.